Morning! I hope you are all well and not too fed up with this horrid weather, I am sure warmer Spring days will arrive very soon. 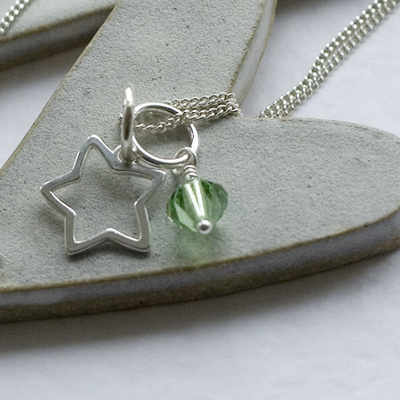 Today I have something that I am sure will add some sparkles to yoru day, the beautiful jewellery of Poppy Sparkles. I have brought special birthstone necklaces for my daughters birthdays in the past year and more recently friendship bracelets, including one as a treat for me aswell. The birthstone necklaces are simply beautiful and can be treasured forever. My daughters have 16″ silver chains at the moment, but the birthstone and pearl can easily be transferred onto longer chains when they are older. 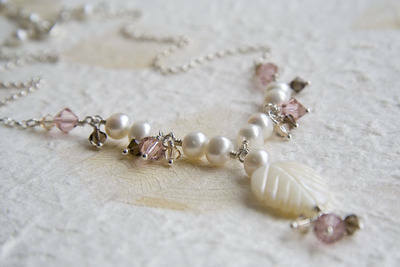 These make wonderful gifts for bridesmaids or as a birthday or christening gift. Poppy Sparkles also have a fab collection of friendship bracelets that mums and daughters alike love to wear. There are three different options, a pearl, your birthstone or both on a choice of ten coloured cords. I wear mine everyday and my daughters all love to wear theirs, they are just cross they can’t wear them to school! These friendship bracelets are perfect gifts for your friends, your childrens friends or even as a special wedding or party favour. I know I would love to find one at the base of my glass at a wedding breakfast and I am sure older girls would much prefer these to a favour bag filled with sweets and little toys! 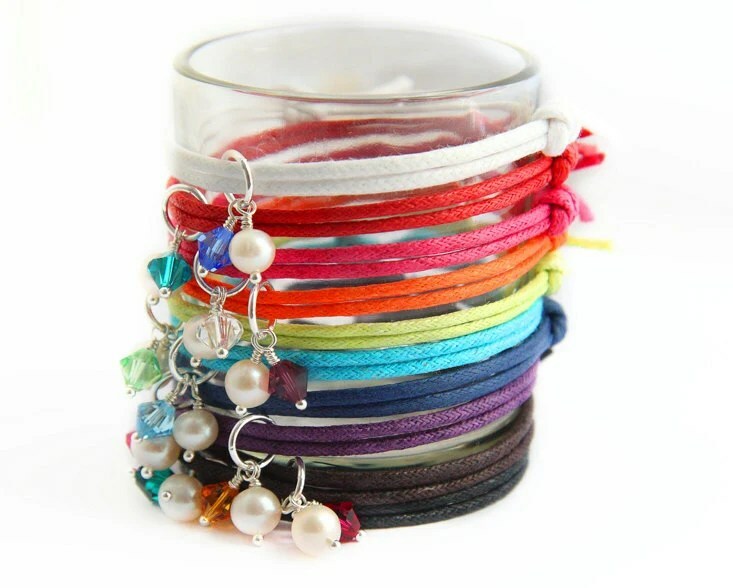 Poppy Sparkles offer a fab discount if you buy sets of five or ten friendship bracelets. Aswell as birthstone jewellery and friendship bracelets, Viv, Poppy Sparkles designer and owner, loves to make beautiful bespoke pieces for weddings and proms. Viv will work with you to create the jewellery you want to wear for any special occasion. I am sure you will all agree Poppy Sparkles jewellery is beautiful and the thing I love most is that it can be worn everyday, not hidden away in my jewellery box.